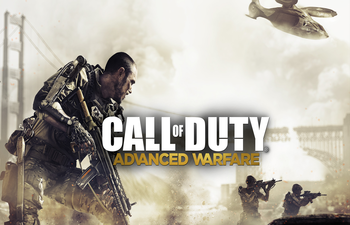 Call of Duty: Advanced Warfare will be receiving new weapons and weapon variants in a new DLC next week. The latest game in the Call of Duty franchise, Advanced Warfare, will be getting some new weapons in its loot drops starting July 21st. This DLC will be free to all owners of the game, and will not be paid DLC. It will arrive on the Xbox One first, and be available on the PC and PlayStation 4 versions of the game at a later date. This new DLC will include three new weapons and their variants. These new weapons are the SVO Sniper Rifle, STG44 assault rifle, and the Blunderbuss shotgun. You can view all the different variants and colors of the guns in the gallery below. Johnny020, Phantom Menace, Pianist and 4 others like this.